So things are moving along pretty quickly and now the fun stuff starts. THE FINISHES!!! You know, trim and tile and light fixtures and door knobs. But first comes… the paint. The thing everyone loves to hate. 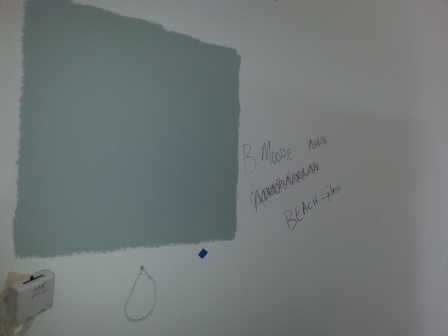 Picking out the perfect paint color. Walk into a paint store and hyperventilate from all the color choices. So, first step? Take a breath. Next step, narrow it down. Eliminate all those oranges and yellows and baby blues that are just not going to work for you. If you know you love a neutral gray – head for the grays. Now think about undertones. 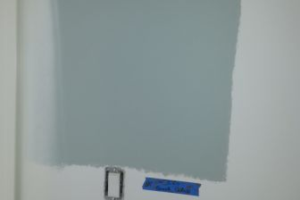 Blueish gray? 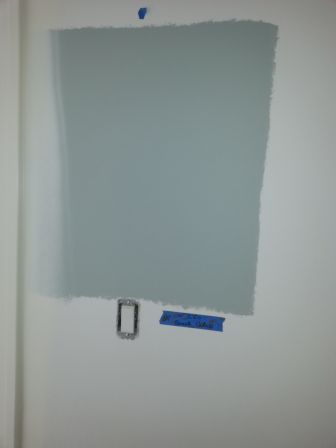 Or beigeish gray? Or whiteish gray? That will help you narrow down the possibilities in a big hurry. Now take your 2 or 3 contenders and bring the samples home. Do not paint a 2 inch x 2 inch square on the wall and run with it. Wrong! 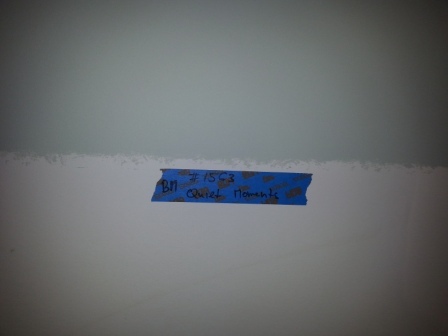 Paint multiple big patches – like 2 FOOT x 3 FOOT swatches. Now label that patch (you think you will remember, but you won’t). Now do the same thing in 2 other places in that room. How the color looks will change even in the same room depending on proximity to windows and lights and other furnishings. Now, pick the color you love best in EVERY location and get painting. See? Easy. Now do that in all the other rooms and we can move on! It is your custom home – make it your custom colorsa (or wallpaper, I am loving wallpaper).